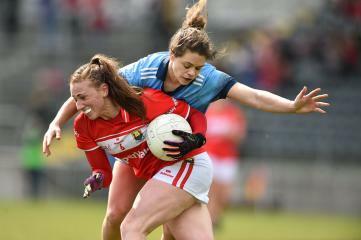 Dublin reign ends as Finn and Cork win out after extra-timeLIDL NATIONAL FOOTBALL LEAGUE DIVISION 1 SEMI-FINAL Cork 1-18Dublin 2-14After extra-timeBy DARAGH SMALL at Nowlan Park, KilkennyOrla Finn starred with 13 points in the sun as Cork knocked reigning Lidl National Football League Division 1 champions Dublin off their perch, and booked their place in the final with victory at Nowlan Park.In an absorbing game that went from end-to-end and lasted for over 86 minutes, Cork had just enough ..
Dubs name strong team for Sunday’s clash with old rivals CorkDUBLIN boss Mick Bohan has rung the changes as the champions prepare for Sunday’s Lidl Ladies National Football League Division 1 semi-final clash with Cork at Nowlan Park in Kilkenny (2pm).Bohan has made eight changes in personnel to the team that lost out to the Rebelettes in the final round of group fixtures.All Star goalkeeper Ciara Trant replaces Rachel Fleming while there are also starts for Martha Byrne, Rachel Ruddy..
LEINSTER LADIES FOOTBALL U16 CHAMPIONSHIP GROUP A ROUND THREEDUBLIN…………………………………..6-16KILDARE…………………………………1-3By Daire WalshDublin progressed to the knockout rounds of the Leinster Ladies Football U16 Championship with a comprehensive victory at the expense of Kildare at TU Blanchardstown on Sunday afternoon.Following..
Leinster Minor Championship Rd 3Saturday 13th AprilDublin 5-13(28) Offaly 1-07(10)Offaly and Dublin played out an entertaining game of championship football this afternoon in Ferbane despite having to contend with a swirling strong wind for the entire match. 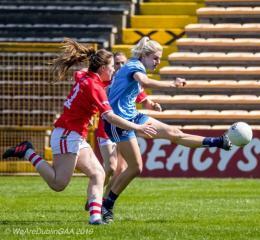 Dublin played with the aid of the strong wind for the opening half of the encounter with the visitors taking an eight point lead into the half time dressing room. 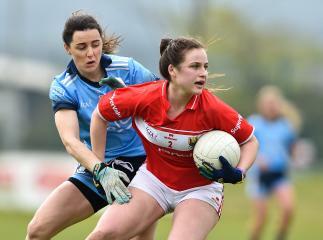 The half time score read, Dublin 3-5(14) Offaly 1-3(6) Eimear Griffi..
LIDL NATIONAL FOOTBALL LEAGUE DIVISION ONECork 2-13Dublin 2-8Niamh Cotter and Marie O’Callaghan hit the net as Cork gained some revenge for last year’s All-Ireland final defeat to Dublin in this Lidl National Football League Division 1 clash at Mallow.Carla Rowe and Siobhan Killeen bagged the goals for Mick Bohan’s side, but they were second best on the day and fell to their second loss of the competition.Victory means Cork finished the group stages in second place overall, and..
Leinster U14 Championship Final FT Score Meath 6-11(29) Dublin 0-09(9)Meath are U14 Leinster champions. 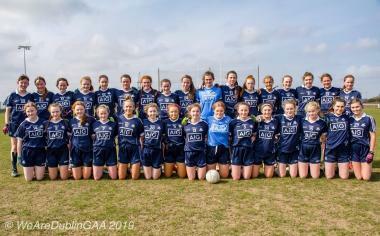 The Royal County bridged a four year gap to reclaim the title they last won back in 2015. 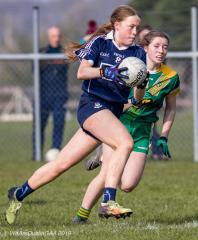 Meath were impressive versus Dublin with the Royal county knocking six goals past the reigning champions to clinch victory this afternoon in Kinnegad. 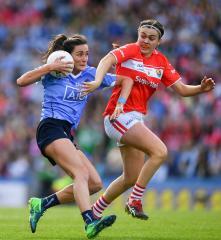 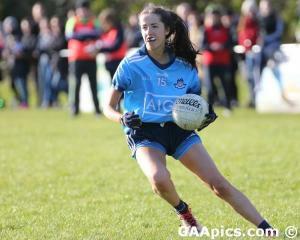 Meath led at the interval by 5 points, HT score Dublin 0-06 Meath 1-08. 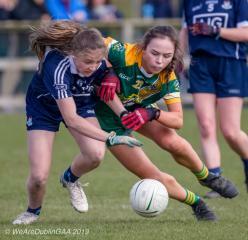 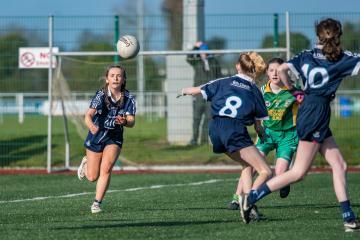 Meath’s opening goal came in the first minute when a high ball..
U14 Leinster Final 2019This Saturday April 6th, Dublin travel to Kinnegad for a Leinster championship final meeting with Meath. 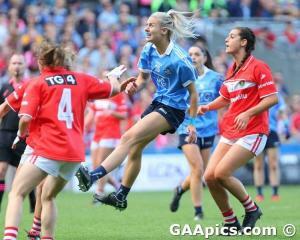 Both sides meet earlier in the competition with Dublin coming out on top of that encounter on the score line of 6-05 (23) to 2-09 (15).In their second round game Dublin saw off the challenge of a determined Westmeath side with a hat trick of goals separating the two sides at the final whistle, FT score Dublin 3-07 Westmeath 0-07.The action getting underway in Cora..
Lidl Ladies National Football League; Round 7 Preview Dublin v CorkBy Jackie Cahill of LGFATHE 2019 Lidl National Football League Division 1 semi-finalists have been confirmed – but Round 7 will confirm who plays who in the last four.In a twist of fate, the counties who have reached the knockout stages are last year’s TG4 All-Ireland Senior semi-finalists – Dublin, Cork, Donegal and Galway.All four are current provincial champions and the fixtures calendar dictates that Cork wi..
First Half Display Set Up Leinster U16 Championship Win for MeathDublin 1-08 Meath 6-08 Report Courtesy of WeAreDublinMeath hit six goals past Dublin today to win their Leinster U16 Championship clash played in the TU, Blanchardstown Campus.A dominant first half from the girls from the Royal County which included five goals set them on their way to victory.Dublin were the better side in the second half, but the twenty point deficit they faced after the opening thirty minutes proved too..